Troubleshooting an application issues which could possibly be network related. I found myself needing to make some adjustment to the maximum transmission unit (MTU) setting of my server. As such what better time to post a quick technical short on how to go about doing this. From the desktop of your Windows Server 2016 server open an Administrative command prompt by Right-Clicking on the start button and select – Command Prompt (Admin). Take note of the IDX interface that you would like to change the MTU on as this is what we need to specify when changing the MTU settings. Please note that the subinerface will be the IDX number from the first netsh command and that the MTU setting is a value less than the original 1500. Now you can reboot to have the changes take effect. I have also noticed the disabling the interface and re-enabling also works. 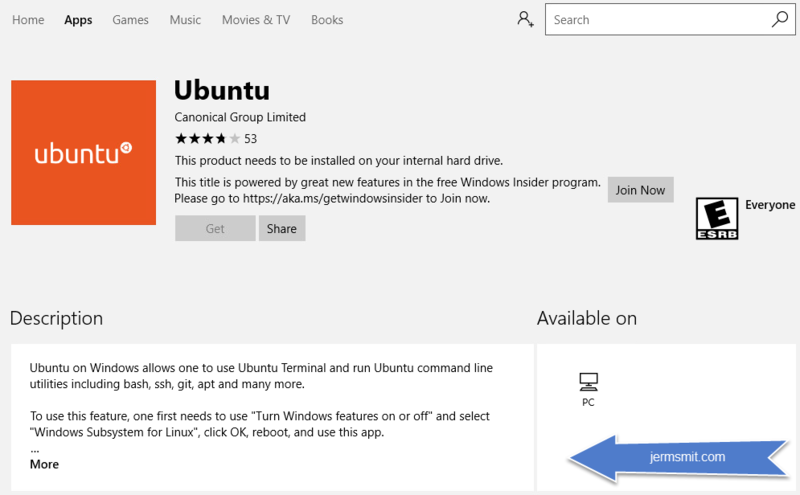 We can now get Ubuntu Linux for Windows 10 from the Windows App Store. Hows that for an amazing new feature. Simply open the Windows store and search for “Ubuntu”. I would be remiss if i didn’t mention that Windows Insiders Members get first go at this new application. This Ubuntu version runs in a sandboxed alongside Windows 10 with limited interaction with the operating syste. Of of my visitors wrote me asking how to uninstall Windows 10. I provided the steps in my response so I am sharing them here. Please *note* that these steps only apply to those upgrade installations of Windows 10. Follow the steps through the rest of the process to get back to your previous version of Windows. If you used this post to assist you please leave me a comment on why you uninstalled, I would like to hear about it.